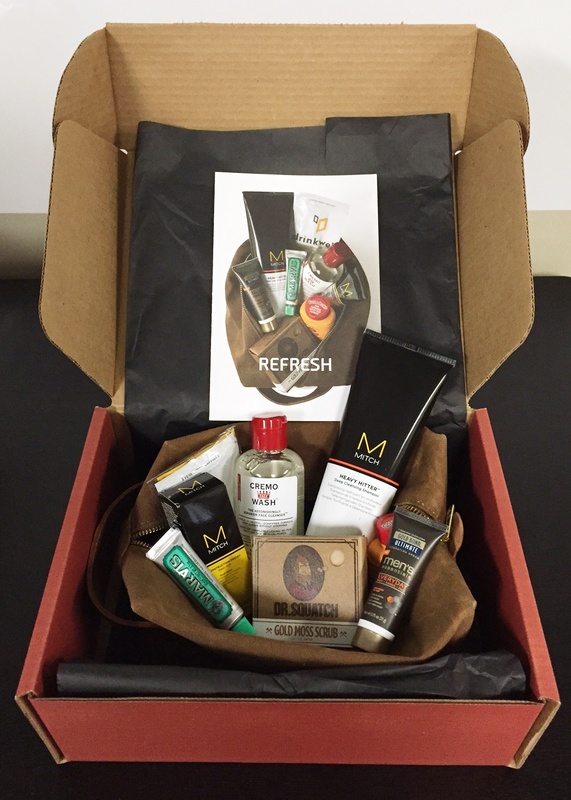 Subscription box company, Bespoke Post, manages their affiliate marketing in Impact Radius. Bespoke Post is an upscale monthly membership geared towards men’s lifestyle. We’ve been so fortunate to try out some of these boxes and we have yet to be disappointed in the slightest. Every box is a pleasant surprise and well-worth every penny! Each box is built around a specific story or theme. Welcome our fourth box, The Refresh. 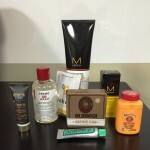 This box of awesomeness comes with several great high end products to keep you looking clean, polished, and put-together both at home and when it’s time to hit the road. You will very quickly realize how great of a deal you’re getting the moment you open this box! Dopp Kit: Blue Claw Co. Exclusively made for Bespoke Post, the exterior has a sturdy and worn down look, the leather handle and pull tab, brass rivets and zipper, and signature blue ballistic nylon lining lend some polish. Heavy Hitter Shampoo: MITCH by Paul Mitchell. Refreshing cedar & agave scent. Cleans deep down but won’t’ strip away the natural oils that keep hair soft and shiny. Construction Paste: MITCH by Paul Mitchell. Delivers flexible texture that doesn’t look overdone. Handmade Scrub Soap: Dr. Squatch. These all-natural soaps are made by cold-pressing olive oil, coconut oil, hemp oil, organic shea butter, and sea salt. Gold Moss has a woodsy, fresh scent. Face Wash: Cremo Company. Well-balanced pH neutral cleanser with a concentrated foaming gel. Lotion + Body Powder: Gold Bond. Dash on some body powder to stave off sweat. Drinker’s Detox: Drinkwell. Replenish your nutrients and help your body process alcohol-induced toxins while supporting a healthy liver function. Toothpaste: Marvis. A minty import from Italy. 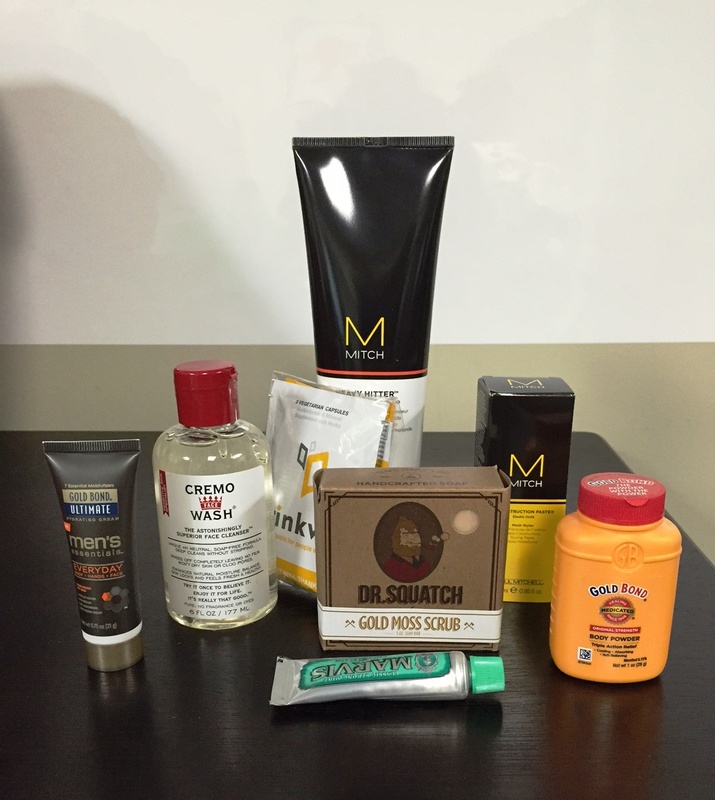 Every box is accompanied with a pamphlet including tips and information about the products in your box. The Refresh will cost you $45 if you were to sign up for a monthly membership, and $55 if you would just like to do a one-time box. Shipping is always free and you are able to skip over boxes whenever you would like. Wondering what to buy as a gift for someone this holiday season? Look no further. Bespoke Post offers several different types of boxes that are all well-worth the money. Although geared towards men like the box above, they feature gender-neutral boxes like the Slate box that encompasses a delicious charcuterie spread and they have recently just added a women’s shop. These boxes make the perfect present for any individual so take a peak! Bespoke Post offers their affiliate partners a 6% commission as well as $25 for every new subscription with a 45 day cookie. Related affiliates are encouraged to join Bespoke Post affiliate program in Impact Radius. Affiliate partners can sign up directly through Impact Radius. Contact affiliate marketing companies, Versa and Impact Radius, for more information.